Most people think Rife technology consists merely of electrocuting microbes, but this is not the case. For many years, JWLABS has endeavored to counter the “prevailing wisdom” of the effects of Rife Technology. Frequency lists have become commonplace on the internet, giving the impression that one needs just a handful of frequencies for any given condition or to address a given pathogen. This “recipe approach” leaves much to be desired, and begs many questions. With no reference to the source of the information, we are left wondering if these lists derived from Royal Rife himself or from subsequent unnamed researchers. Was the data gleaned from experimental work under a microscope or in vivo? What other assumptions have been made that we should re-consider? Is it wise to presume that frequencies do not vary when cultivated in a petri dish (or slide) versus the human body? Do we presume that if these frequencies were established eighty years ago that they are equally effective decades later? Have these researchers concluded that the targeted pathogens live at the exact same frequency from one body to the next? There has been a lot of emphasis on mortal numbers. That’s pretty much been the focus of those discussing Royal Rife’s work, in part because that was his orientation. Or that’s what the media reported. But isn’t this an extension of conventional thinking with respect to how to address disease? The hammer and the nail approach? One size fits all? Suppress the symptom, cut out the offending tissue. Blast it with chemotherapy and radiation. With little to no regard for the system as a whole. With scarce inquiry into what may have caused the condition. Rife himself discussed the pleomorphic nature of the microbe. 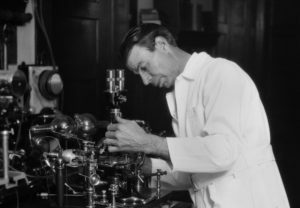 It was very controversial at the time, probably because scientists had never before observed it, given the limitations of their standard microscopes. He documented the ability of microbes to change to another form, particularly when he altered the medium in which it was grown. Virus mutating to fungus, is an example. So much for one size fits all! “Functional Medicine is the personalized approach to health care that recognizes the biological uniqueness of each patient. In contrast to conventional medical care, which is almost entirely focused on suppressing symptoms, functional medicine eliminates symptoms by addressing the underlying root-cause of a problem.” Traditional Chinese medicine also addresses the system as a whole. So why the fixation on very specific frequencies? Why the insistence that the “target numbers” are of supreme importance? You will notice that some researchers are extremely insistent on this precision approach to microbial electrocution. Yet as Rife himself established, these microscopic creatures are moving targets, altering their form (thus their frequency signature) given the medium which hosts them. At JWLABS we don’t presume that each human body provides the exact same host for microbes. We understand that the biological terrain of a given person is influenced by countless chemical factors, and that these factors are influenced by environment—physical and emotional. Alas, our present-day environment has effected our biology more than we have fathomed! 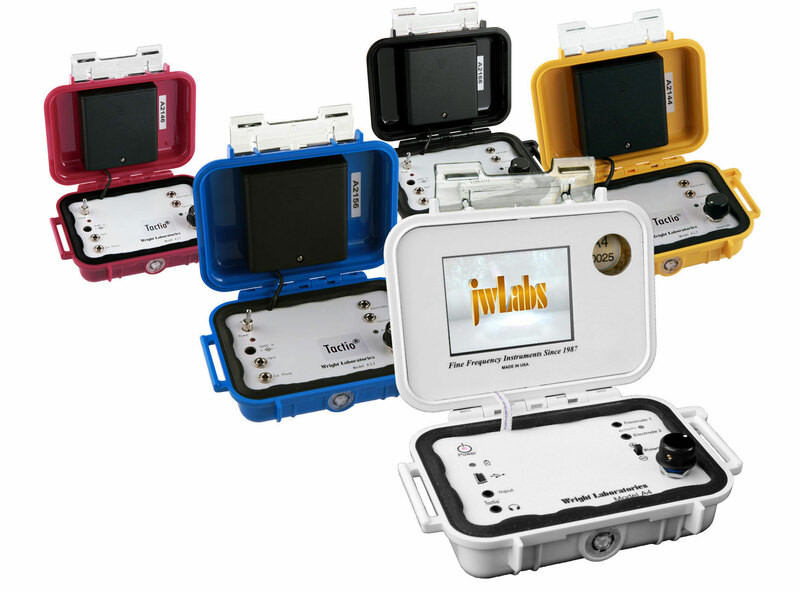 For these reasons, JWLABS delivers ALL frequencies in the therapeutic audio range. Yes, we provide well known numbers which have been used historically, but with our extremely fine tuning and robust analog signal, we have expertly prepared full bodied sessions, which not only provide a force that is deadly to pathogens, but a beneficial stimulus to our cells. We must fortify the function of all systems in the body, not simply electrocute pathogens. And we must not presume to know all the elements which may be contributing to the disease. JWLABS addresses these concerns by delivering a deadly force to all pathogens. But we also understand the significance of the stimulus effects on our normal cells. It’s this one-two punch that makes Rife technology so effective. People still ask us if we have the “right frequency” for Cancer, Fibromyalgia, Diabetes, etc. They falsely believe that if they know the name of the pathogen, we should have the precise frequency to address it. They do not understand that we also need to account for other factors, such as a suppressed immune system and compromised tissue, which makes them vulnerable to subsequent opportunistic infections. For example: a diagnosis of Fibromyalgia may not be correct. It might be that spirochetes have invaded the connective tissue, giving rise to severe joint pain, even overall systemic dysfunction. The resulting compromise of the system produces an environment which invites other pathogens, such as parasites (large and small), bacteria, fungus, and mycoplasma, into the body. With this cascade effect, the system is further weakened. These pathogens are notoriously resistant to antibiotics which harm the gut, furthering the breakdown of the immune system. We maintain that this specifically targeted frequency approach is insufficient to address the complex organism which is our body, particularly when under attack by a multitude of invaders. The body must be addressed as a whole. Each case must be given unique individual attention. The “quick fix”—or the “recipe approach”—is not the attitude of the serious researcher. Nor is it the effective way for an experimenter to embark on his or her recovery. For these reasons JWLABS expertly tunes the frequencies by hand, delivering the target numbers known in the past to be effective. Instead of focusing exclusively on these numbers, we deliver the entire spectrum in which any given virus can live. Any given bacterium. Any given parasite or fungus, and so forth. Nothing is left out. This has been our approach for over three decades. It’s only in asking the right questions that we will forward a better understanding of this most important technology. With this comprehension, people are more likely to be successful, making Rife technology truly an idea whose time has come. Are you Skeptical of Rife Technology? Cherry acquired her first Wright Laboratories Rife machine in 1999. Motivated by a long-held interest in health and wellness, she understood the value of the basic effects of Rife technology and the significance of employing it for general wellness as well as crisis intervention. Formerly a massage therapist, she became a JWLABS Distributor in Chicago. After nearly two years, she came on board full time in 2001 to manage Sales and Customer Support. She is now Executive Director of Wright Laboratories LLC, directing Customer Support, Sales and Marketing strategies and working hand in hand with the engineering team for ongoing product development. Cherry's history includes Midwest Regional Manager with Logonet Inc, a company specializing in Ontological Design which was established by Dr. Fernando Flores. After nearly five years with the Flores organization, she marketed other nationally known speakers and trainers in the personal and executive coaching industry including William Hanrahan and Dr.Teri Mahaney. These teachers have had a profound impact on Cherry's personal and professional development, and they are a reflection of her personal commitment to helping people be more effective in life. For well over twenty years, that commitment has been expressed in the realm of helping people toward wellness. Are your frequencies generated digitally or analog? My understanding is that Rife’s used analog technology, which covered almost an infinite amount of “frequencies” between digits. If it is digital, how do your machines differ from all the others on the market? Would you consider renting a machine for me to use with my patients for six months? If they really work, not only will I buy one but can promote them to my patients. We appreciate your questions! You are correct, analog is superior to digital. Our full bodied sessions are generated from the analog Model B which we produced for many years. We did not release the Model A line until we were satisfied that our engineering technology preserved and protected the analog signal. You are correct about the infinite frequencies between the digits. In fact, we are sometimes tuning within a millionth of a hertz. In short, our Model A devices represent the best of the old and the new. Solid state format with easy user interface, with original source from our analog machine. Nearly every other machine in the market is digitally generating frequencies from a chip. Check out our timeline of products on https://rifemachine.com/ this represents many, not all of the instruments we have developed over the years. We would be glad to work out a plan for you. Please call us at 888-891-1122 or 951-926-6415.